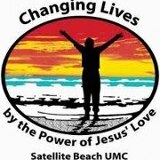 SATELLITE BEACH -- Congratulations to Pastor Joseph E. Jursa Jr. and members of the congregation of Satellite Beach UMC, who received word this week that they will receive Welcoming Congregation certification from United Methodist Communications (UMCom). The award includes a plaque for display in the church and recognition on The United Methodist Church's Find-A-Church.org website. This means Satellite Beach UMC joins a select group of United Methodist congregations nationwide that meets criteria for the award, including embracing newcomers and providing discipleship opportunities. The program is part of a larger effort launched in late 2000 by UMCom to encourage use of modern technology and television to spread the Good News of Christ to a world in need. For information about the certification program, click here.